Mary Eats Cake specialises in offering exquisite High Tea experiences set in Melbourne’s hipster capital, Brunswick. The Tea House was awarded ‘Australia’s Best Tea House’ in 2016. A testament to the team’s dedication to outstanding service, exceptional tea preparation, and freshly prepared food. Mary Eats Cake was founded by French trained Patisserie Chef, Jessica Hillbrick and Tea Sommelier, Sarah de Witt. Both women united in their shared passion for the High Tea industry, each with their unique area of expertise. “I believe tea is absolutely central to the High Tea experience,” Sarah says. “When done correctly, it compliments the food flavours and can enhance the food experience”. Jessica worked with Michelin restaurants in London that focussed on traditional British cuisine. She was inspired to bring her extensive traditional knowledge and create a unique High Tea menu with a fresh vibrant flare. The menu is a burst of colour that boasts a combination of sweet and savoury items all of which are baked fresh in house. Jessica also created a Vegan and Gluten Free High Tea that is a leap away from traditional High Tea. “Being in Brunswick, it’s important for us to create a menu that caters for everyone. We want our space to be inclusive and we’re really proud of what we could create. Let the people eat cake!” she jokes. Mary Eats Cake has newly renovated function rooms with crystal chandeliers, exposed brick feature walls, fresh flowers, and glamorous vintage tea ware. The Mary Team provide an exquisite experience giving you time to sip, savour, and celebrate your High Tea moment. Minimum is 2 guests – maximum is 70. Exclusive Tea Rooms available for a minimum of 12 guests. Ideal for Bridal Showers, Hen’s Parties, Kitchen Tea Parties and Birthdays. 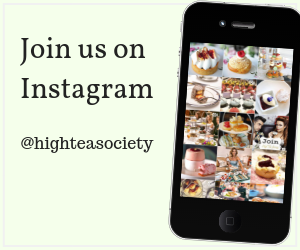 Mary Eats Cake is a high tea experience curated by two specialist culinary talents in Brunswick, Melbourne. 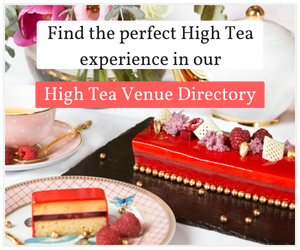 The ironic thing about many high tea venues in Melbourne is that the focus on delivering the perfect ribbon sandwiches and petit fours often overshadows that other important element – the tea.